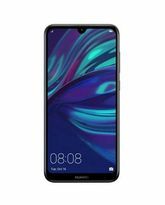 DUAL-LENS CAMERA IN THE REAR, SOFTLY LIT SELFIES UP FRONT The flat-mounted rear 13MP + 2MP dual-lens camera of Honor Smartphone, 7C features one lens for capturing the image and another for depth detection, delivering next-generation depth-of-field effects. SELFIETONING LIGHT The 8MP front camera, with a F2.0 wide aperture, is designed to take better selfies with the help of an intelligent adjustable soft light. If you prefer fine-grain control, simply adjust the lighting brightness using manual mode to perfect your selfies. 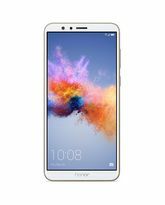 FACE UNLOCK AND FINGERPRINT UNLOCK,BOTH WAYS FOR YOU Honor’s latest smartphone, 7C unlocks with a simple touch or glance. 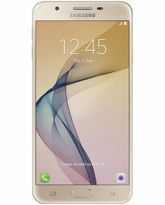 It supports both face and fingerprint unlock. 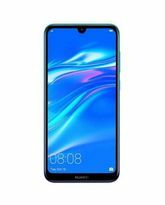 MASSIVE HONOR FULLVIEW DISPLAY Equipped with a 5.99-inch honor FullView display featuring an 18:9 aspect ratio, Honor 7C expands your horizons and delivers a more dynamic visual experience for reading, video streaming, or gaming, thus making it the best Honor Smartphone. 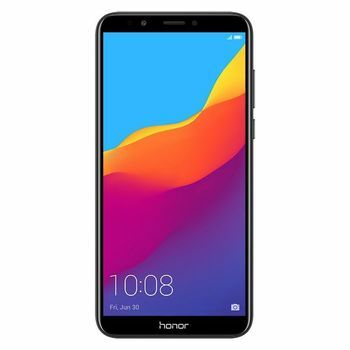 DUAL-SIM SUPPORT & STORAGE EXPANSION UP TO 256GB The best android smartphone, Honor 7C supports a dual nano SIM and SD card slot, enabling you to use two numbers and switch simultaneously, as well as storing photos and data without worrying about running out of space. 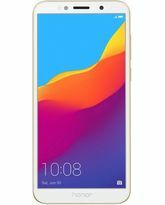 FLAGSHIP GAMES RUN SMOOTHLY WITHOUT DRAINING YOUR BATTERY Honor smartphone, 7C is equipped with a 14nm octa-core chipset, a powerful Adreno 506 GPU, 3GB RAM, and SmartPower 5.0 technology to ensure a smooth, seamless, and long-lasting gaming experience. 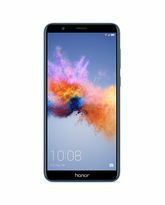 SLEEK METAL BODY IN A FASHIONABLE PALETTE OF COLORS The sleek body of Honor 7C comes with a classic rounded-edge design that fits comfortably in your hand. Finished in your choice of three carefully chosen colors – blue, black and gold – this latest smartphone exemplifies minimalism. EMUI 8.0 INTELLIGENCE THAT UNDERSTANDS YOU Honor’s best smartphone, 7C’s cutting-edge EMUI 8.0 system features a number of custom modes to enhance your user experience. The uninterrupted gaming mode allows you to enjoy your games without distraction. Other modes include driving mode and pocket mode, which adjust device interaction to context, as well as other functional modes, including One-Click Split Mode, One-Step Shortcut, Navigation Dock and many others. 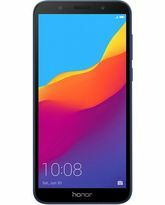 A BATTERY THAT WILL LAST FOR YEARS The 3000mAh (typical) battery of Honor 7C is designed for longevity, maintaining over 80% of its capacity even after 500 full recharges, to make it the best android smartphone. The USB connector is lined with a metal protection layer, ensuring it can hold up to being plugged in over 10,000 times. 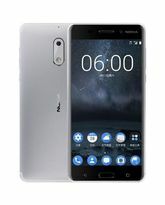 REAL-TIME AUDIO MONITORING FOR BETTER RECORDING ON THE GO Honor’s latest smartphone, 7C offers real-time audio monitoring, allowing you to listen to your own voice while recording your singing, giving you a studio experience in the palm of your hand. DUAL BLUETOOTH The dual Bluetooth feature of Honor smartphone allows the phone to connect with two devices via Bluetooth at the same time.